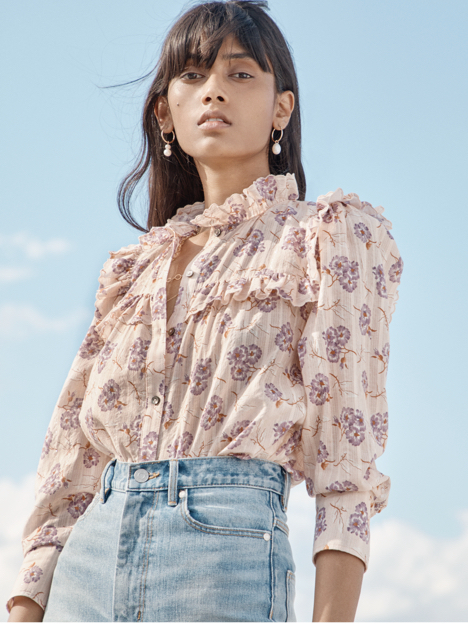 LOOKBOOK STYLE - Soft ruffles and puffed sleeves create volume on this bloom-covered cotton blouse. LOOKBOOK STYLE - Soft ruffles and puffed sleeves create volume on this bloom-covered cotton blouse. Pair it with army pants or some of our floral embroidered denim.